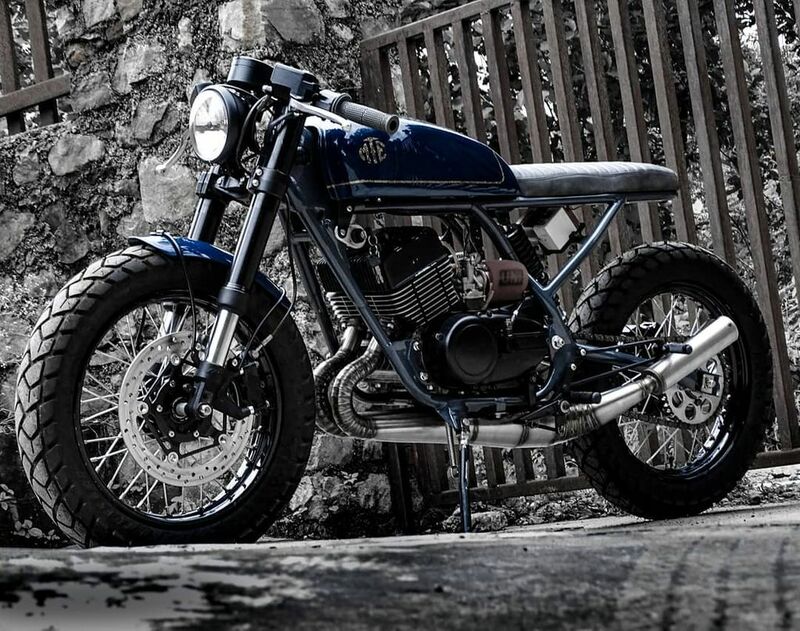 Moto Exotica is a Dehradun based custom bike builder and like most of the custom shops, they are also focusing on restoring old motorcycles. 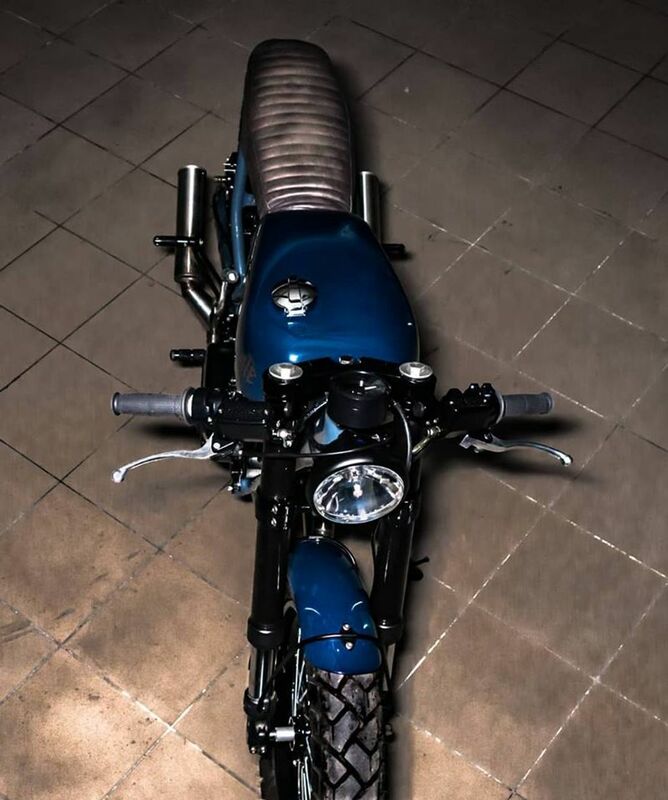 The latest project of Moto Exotica is to give a new life for RD350, which is rare to find in India as they didn’t sell in high numbers like RX100. Yamaha introduced RD350 in 1983 in India. 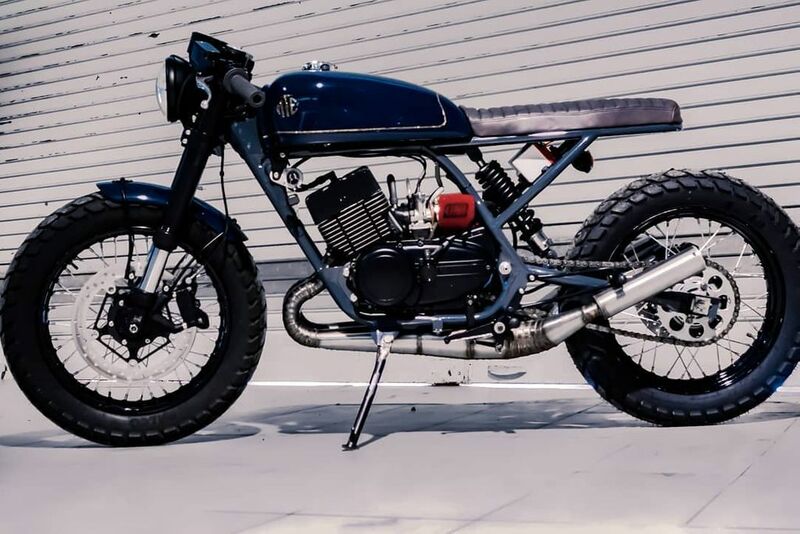 The custom shop made so many changes to RD350 that people can’t identify, which bike the café racer is built on and the only thing that looks similar to RD350 is engine case. The changes start with a new round headlamp and custom fender in front. Moto Exotica replaced telescopic suspension with upside down forks and custom made sprockets. The custom shop has given clip on handlebar for a sporty look and two pod instrument cluster of stock model has been replaced by single pod unit with just speedometer in it. The fuel tank is custom made and it gets a new design theme, which goes well with café racer theme. 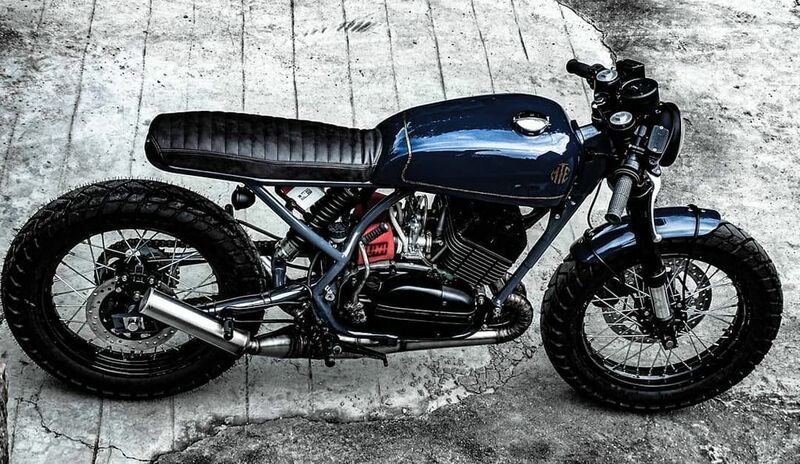 The Café Racer RD350 comes with single seat wrapped in leather. The chassis is completely redesigned along with a new custom swing arm as the custom shop replaced dual gas charged suspension to a mono suspension at rear. 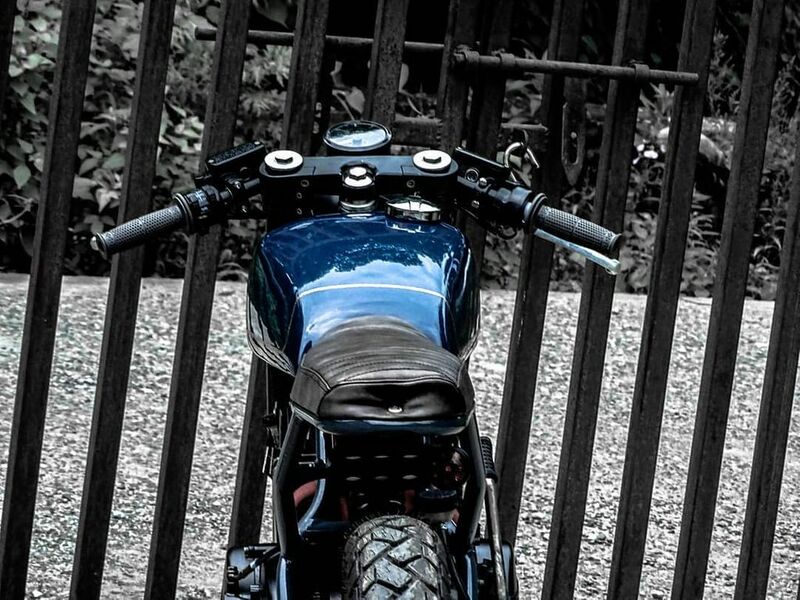 The battery is exposed and the custom shop has given a small tail lamp, which is positioned under rider seat. The foot peg position remains same. Moto Exotica made some changes for engine to improve performance but the custom shop didn’t release power figures. The stock RD350 is powered by 347 cc air-cooled, two-stroke, parallel twin cylinder engine produces 30.5 bhp of power and 32.3 Nm of torque. This engine is mated to 6 speed gearbox. The stopping power comes from disc brakes at front and rear. The custom shop has given 18 inch spoke wheels at front and rear with Knobby tyres. Moto Exotica has given hand-welded stainless steel dual exhausts with an expansion chamber. 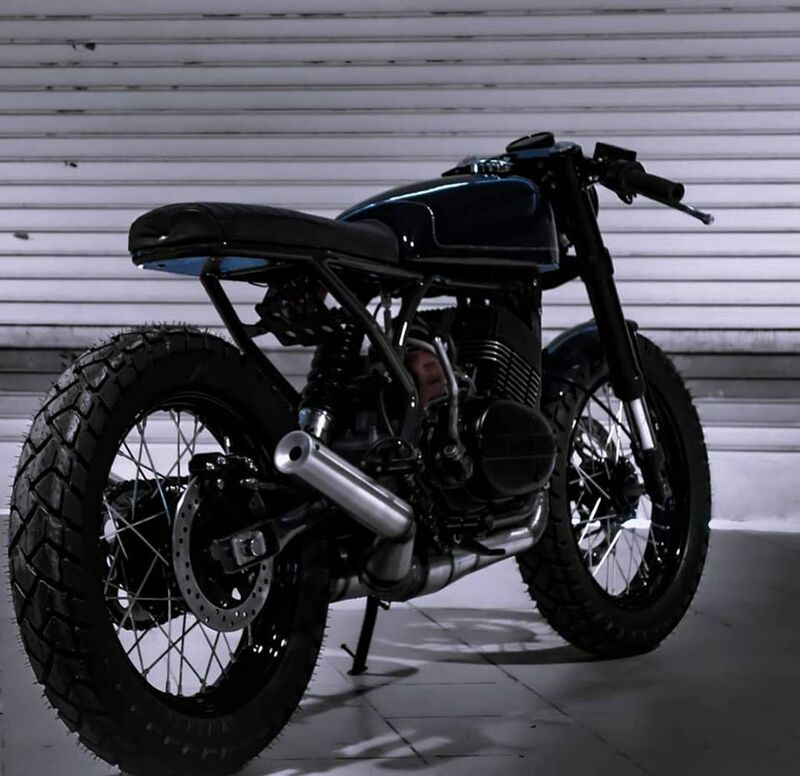 The modified RD350 is finished in sparkle blue with gold stripes and mechanical parts in black colour.